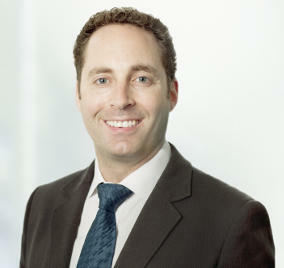 Daniel Michaelson is a partner at Neinstein Personal Injury Lawyers in Toronto. Daniel has a well rounded professional background having practiced in several areas of law. This experience provides him a unique perspective when advocating for the rights and needs of his injured clients. Since his call to the bar in 2008, Daniel has represented personal injury clients in cases related to motor vehicle accidents, general negligence, occupier’s liability, medical malpractice, and product liability. He has appeared at all levels of court including administrative tribunals, the Superior Court of Justice, and the Ontario Court of Appeal. Daniel graduated from the University of Western Ontario Law School in 2007 and York University in 2004. He is heavily involved in volunteer work in his community, including serving on the Board of Directors of Canadian Young Judea and contributing to Lawyers Feed the Hungry and the Nature Conservancy of Canada. Mr. Michaelson has appeared at motions, trials, and hearings in the Superior Court of Justice, the Ontario Court of Appeal, Small Claims Court, Bankruptcy and Estates courts, Social Benefits Tribunal, CPP appeal hearings, and the Human Rights Commission. Neinstein Personal Injury Lawyers has earned a well respected reputation within the legal and insurance communities for being tenacious advocates for accident injury victims. We are confident that by choosing us to act on your behalf, you will obtain the best possible outcome and the appropriate compensation given the particular circumstances of your case. Need a Toronto Personal Injury Lawyer? If you or a person you care about has suffered a serious injury in Toronto or anywhere in Ontario, contact Daniel Michaelson to discuss your accident. There is no cost or obligation for this consultation. Phone: 416 920 4242 ext 2211 or Email: daniel@neinstein.com.